I've hunted a small parcel of land solo for the last three years. It took a couple years for me to figure out what deer were living on the land. Where they bed and what they eat on the property. I watched their various movement patterns. I was asked to use my best judgement and keep deer on the property. I opted to keep a particular doe that has twins each spring untouched. 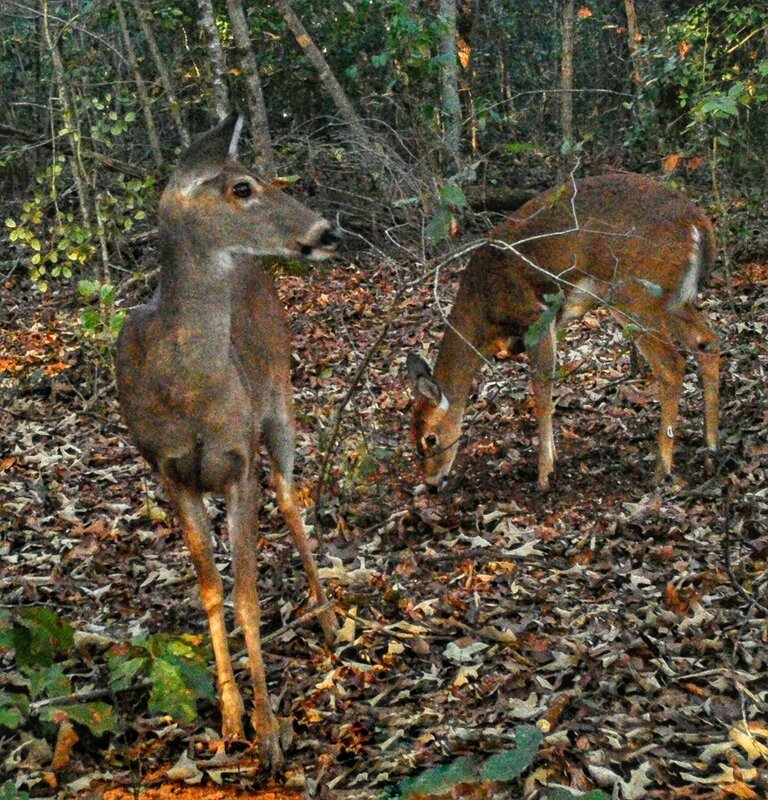 As well as one buck that is now two years old. They both bed on this parcel of land. The main part of the land is a funnel and all the nearby deer move through this funnel. 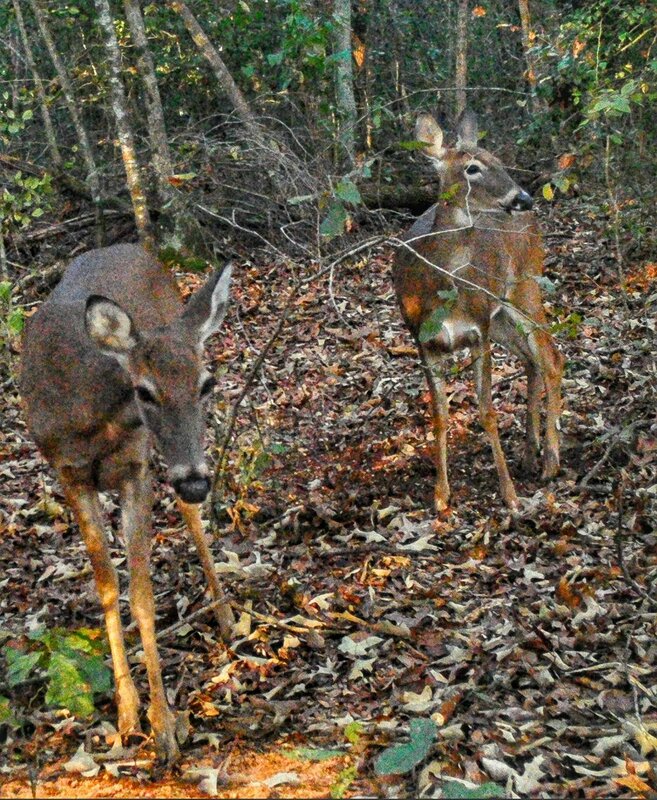 I re-routed their evening pass-through route with corn and some persimmon. On this afternoon hunt a herd of twelve + does came through the funnel to go feed. It was an amazing experience to watch that many does surround me. The herd stopped at my stand and listened in the direction they were headed. I was sure they could hear the thud of my pounding heartbeat. Then they slowly walked away. 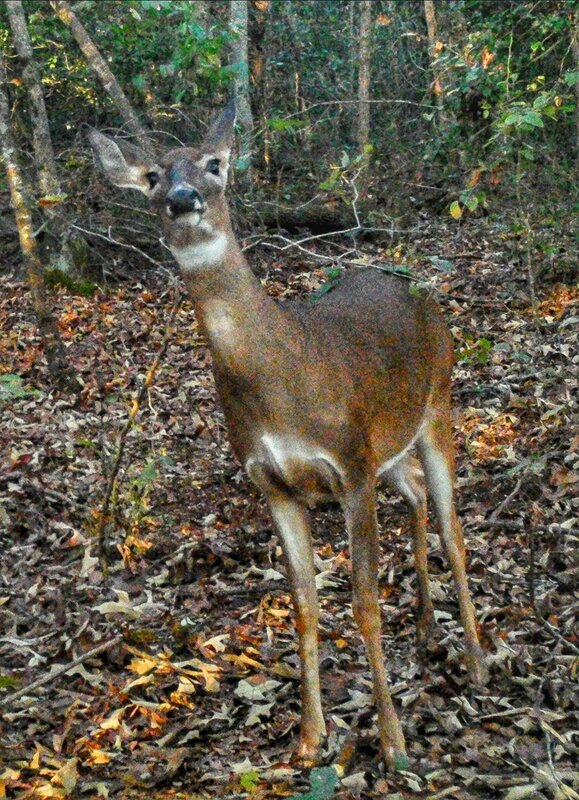 After a few very long minutes a buck lingered after the herd. I had identified this buck as one that passes through. The buck made a wide birth into the thick woods around my stand so I had no shot. I had been holding on to my rifle this entire time. At this point it felt like it weighed a hundred pounds. I was completely focused and waiting to see if the buck was coming back. I finally see him to my far right walking the edge of the small water hole. I slowly lined up my rifle to the one spot that I had a shot between two trees and waited. Then he stopped and turned to come up the hill towards me! As soon as his head went behind a tree I took one fluid motion and moved my rifle and body into shooting position. My heart has been pounding for so long now I fear I may have a heart attack. I was lucky that the buck decided the persimmon was too good to pass up. He came back to eat on the exact spot (in my dreams I never thought it would work) that I hoped he would stop at. I took a clean thirty foot shot. He immediately fell and didn't even know he was hit. So never underestimate the power of good ole' fashioned work with a dash of luck. Happy Hunting Y'all!